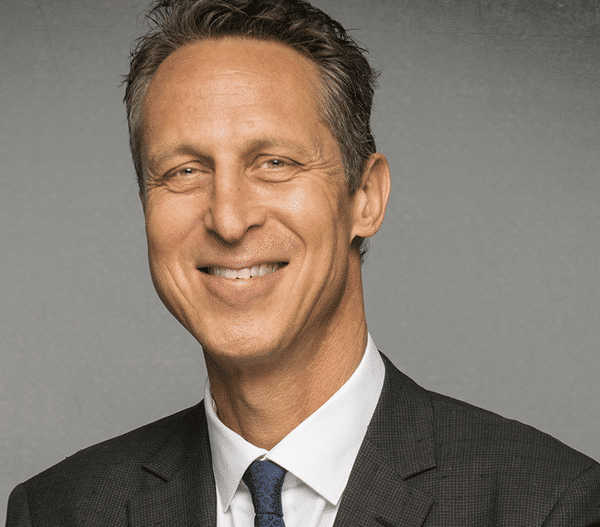 Dr. Mark Hyman has long been an inspiration to us in our path to eat the right foods. His work centers around tackling the root causes of chronic disease by harnessing the power of Functional Medicine to transform healthcare. He's a practicing family phyician as well as a nine-time New York Times bestselling author, and his newest book is going to be just as relevant and influential. It debunks the myth that we need to be eating less fat, and gives you an in depth look at which fats you should be eating to get healthy and lose weight if you want to. To check out his book and get a free gift, click here. 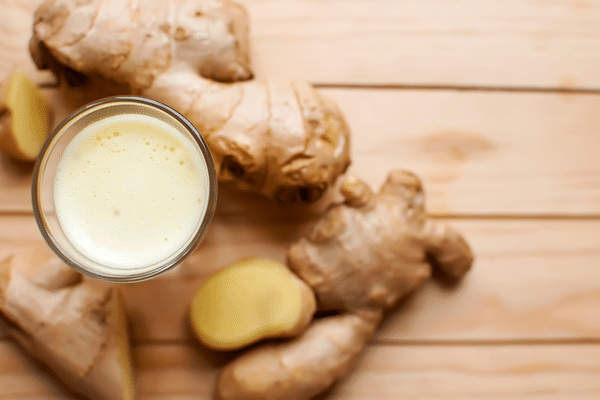 We asked Dr. Hyman to share one of the delicious recipes from his latest book and he gave us this one for a creamy, balanced ginger smoothie recipe that you will LOVE. This recipe comes straight from Dr. Hyman's new book, Eat Fat, Get Thin, which debunks the myth that you have to eat low fat in order to be healthy. This smoothie is great to drink in the morning to get your body into fat-burning mode while providing it with essential nutrients. Ginger helps your body with digestion and is naturally anti-inflammatory. You could also substitute fresh turmeric. Almond butter is a source of healthy fat and provides the satiation factor. It also contains a good dose of Manganese, which helps to regulate blood sugar and metabolism. Greens like spinach are nutritionally dense, so adding them to your smoothies is a great way to work them into your diet. Spinach is high in iron and other minerals, and has little no taste, making it great for smoothies. Or, experiement with other greens and see which you like. Dr. Hyman is a practicing family physician, a nine-time New York Times bestselling author, and an internationally recognized leader, speaker, educator, and advocate in his field. He is the Director of the Cleveland Clinic Center for Functional Medicine. He is also the founder and medical director of The UltraWellness Center, chairman of the board of the Institute for Functional Medicine, a medical editor of The Huffington Post, and has been a regular medical contributor on many television shows including CBS This Morning, the Today Show, CNN, The View, the Katie Couric show and The Dr. Oz Show. You can find out more about his newest book and get a free gift from him here. I’m curious as to the nutritional analysis on Dr. Humans recipes. This is not the first recipe that I have found to be higher than when I have checked the ingredients. Love fresh ginger and love Mark Hyman. I did a review of “Eat Fat, Get Thin” on my blog back in early March. Great book! I have followed those principals for years and have no trouble maintaining a healthy weight. I had fresh ginger blended with a whole lime and three large handfuls of baby arugula yesterday. Loved it! There is always fresh ginger in my fridge. Don’t like fresh turmeric as much, but trying to learn.